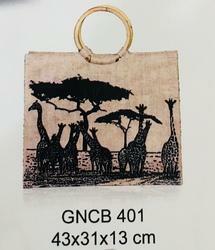 Our range of products include eco- friendly jute bag, eco-friendly jute shopping bags, jute bag with webbing cord handle, jute shopping with cane handle, stylish jute shopping bags and jute bag with animal print. 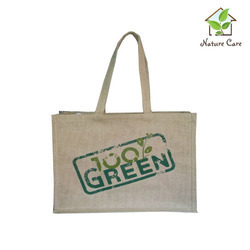 These bags are made of 100% eco-friendly fabric i.e. jute. The bags feature a colored rope handle. 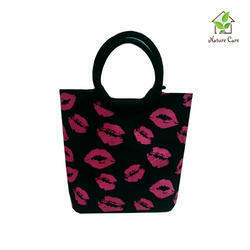 The bags can be customised as regards to size, color, handle type and printing. The smart verticle stripes design is present on one side of the bag. From the first day of our set up, we have been able to export, supply and manufacture the premium quality of Smart Jute Tote Bags. 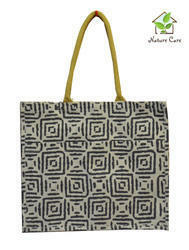 The offered smart jute tote bags are eco-friendly in design, light in weight and easy to carry. Besides this, the offered smart jute tote bags are known for their elegant design and resistance against shrinkage. We are offering an exquisite collection of Jute Shopping Bags with customized print that come in a wide plethora of color combinations and elegant designs. 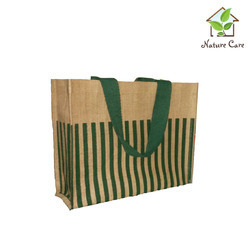 Perfect for shopping, these jute bags have separate sections for keeping different items. We offer these bags at most reasonable rates. 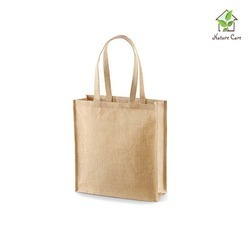 We are reputed and reliable manufacturer, supplier and exporter, offering the superior quality of Stylish Jute Shopping Bags. 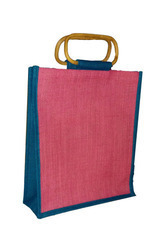 The offered stylish jute shopping bags are known for their eye catching appearance. 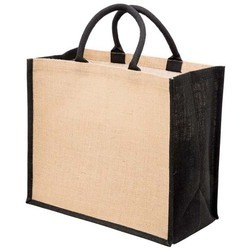 Our patrons can avail the offered stylish jute shopping bags in various sizes, colors, handle types and prints, as per the needs and requirements of our patrons. Boasting by the years of experience of this domain, we manufacture and export the superior quality of Fancy Jute Shopping Bags. 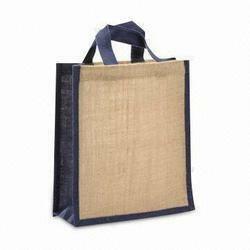 Available with us in various sizes, colors and designs, the offered jute shopping bags are highly demanded. Rich vendors’ base, equipped storage facility and large production capacity has helped us in meeting the bulk demands of the offered fancy jute shopping bags. From the first day of our inception, we are engaged in manufacturing, supplying and trading the finest grade of Jute Shopping Bags With Customized Print. 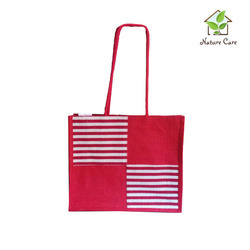 As per the handle types, colors, designs and print details provided by the patrons, the offered jute shopping bags can be customized at our end. 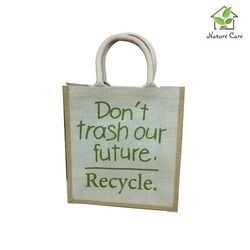 The offered shopping bags with customized print are designed from quality assured dyed jute fabric. 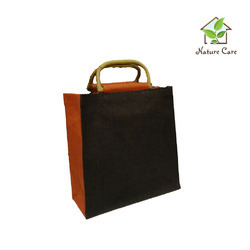 Our company is engaged in offering a wide range of Simple Jute Shopping Bags that are also available with a capacity of storing various things together. 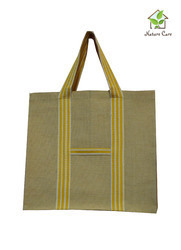 These jute bags are divided into sections enabling people to carry the items comfortably. We offer these bags at market leading prices. 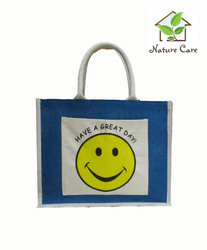 We are the manufacturer and exporter of Eco-friendly Shopping Bag. We make use of first grade raw materials that are sourced from reliable vendor base of the industry.